Bears make you feel special, roses tell you your loved! Order a high-quality rose bear! You can find a cheap bear online, but there is a high probability that you will receive a poor-quality product. This bear would not make a great gift! We offer a 100% Satisfaction Guarantee! Roses glued unevenly. Visible foam and glue. Bear is made from 200 roses. Wrinkly and cheap roses are used for bears. Long shipping time and the delivery date is not guaranteed. Seller offers no warranty for quality and delivery. All bears are handmade in Europe by Notta & Belle. We use more than 500 roses for each bear. We sort and prepare all roses manually. Once your order is placed, you can expect it to ship within 2-5 business days. Get a refund within 14 days if you are not completely satisfied. TO WHOM AND ON WHAT OCCASION TO GIVE A Rose bear AS A GIFT? On an anniversary, on a birthday, or without a reason, just to cause someone's sincere smile. Mom or sister - absolutely everyone will appreciate such a sweet and gentle sign of attention. Your lady will be so impressed - she definitely won’t have received such as a gift before! Bear of roses will be an excellent gift that can genuinely surprise loved ones. A great surprise - your colleagues will be completely touched. Any child dreams of such a gift, the bear can withstand falls and hugs. We pack our bears very carefully before shipping, so they will definitely reach you safely. We produce the bears in-house. Our rose bears are unique (we are the first to come up with this idea!) and are hand-crafted in our own production facility. It is absolutely safe and does not cause allergies. A Bear of Roses for any loved one! Who wouldn’t feel loved after receiving a bear made of the most beautifully designed roses? Whether it’s for a significant other, for a family member, or a little lady or gentleman in your life, everyone can receive a rose and feel a lifetime of love. 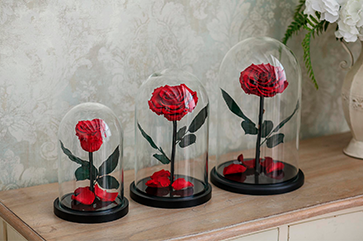 With a special 3-D decorative rose, these bears are designed to last. By using quality materials and created by hand, our rose bear is durable and provides a special kind of memory for all. 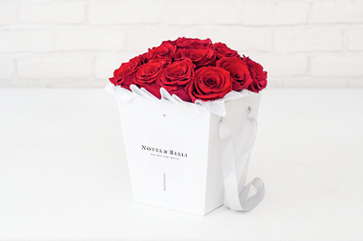 We use a high-quality soft design made to look and feel like real, fresh roses. Pick from a number of colors to be sure your gift matches the style of the one you’re giving it to. The flowers will stay intact from five to seven years, still looking as beautiful as the day you received it. Because of our hand assembly, the flowers are tightly kept together to maintain the same appearance. Hug it and squeeze it all the same! The rose bear will stay together! When you look at the Rose Bears, you may see a gift for a loved one or a gift for yourself. What makes these bears even better is that they don’t have to be gifts at all! 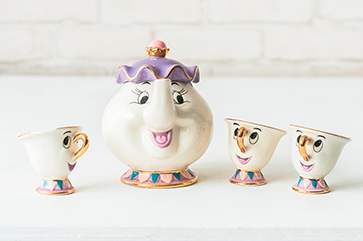 These are incredibly adorable ways to create a unique décor for any location that might have a cute or flirty vibe. Because of their lasting ability, there’s no need to worry about them fading out quickly or being destroyed. 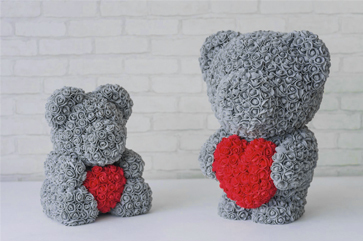 Whether you’re a photographer or interior designer, these rose bears can be used as props or décor to make you stand out with unique style. Easily cleaned, the rose bears simply can be wiped down of any dust particles. They are best kept away from the sunlight, though, to ensure the color lasts as long as the bear does!